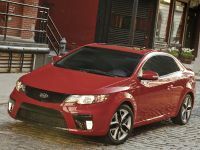 "As the dramatic two-door sibling of our flagship model, and the first coupe in company history, Forte Koup is further evidence of Kia's style transformation and our continued commitment to offering consumers sophisticated, good looking, and fun-to-drive vehicles," said Michael Sprague, vice president, marketing, KMA. 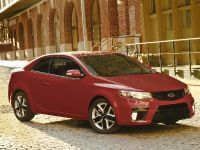 "The addition of the performance-inspired Koup to our lineup gives Kia Motors the ability to offer our design, value and safety story to an entirely new consumer base of automotive enthusiasts." 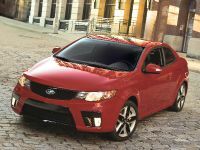 Surrounding Koup's occupants with the latest in must-have technology, all Forte Koup models feature Bluetooth® connectivity with steering wheel-mounted controls that enable voice-activated hands-free operation for compatible cell phones and a six-speaker AM/FM/CD/MP3 audio system outfitted with SIRIUS Satellite Radio and three months of complimentary service¹. 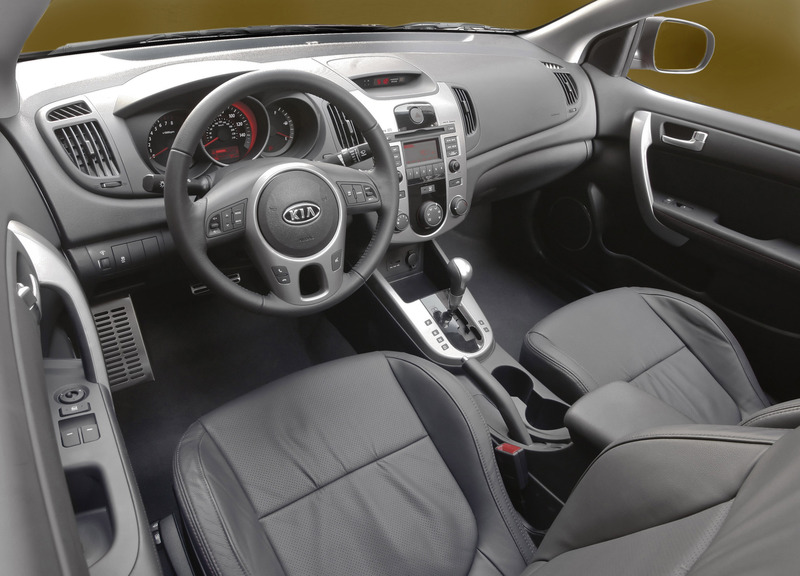 For added listening convenience, steering wheel-mounted audio controls also come standard on all models, as well as USB and auxiliary input jacks in the center console with full iPod® and MP3 controllability via the audio head unit or steering wheel-mounted controls. 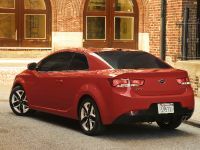 Based on the KOUP concept vehicle that debuted at the 2008 New York International Auto Show (NYIAS), and voted a "Best in Show" by MSN Autos after its official unveiling during this year's 2009 NYIAS, Forte Koup's fluid lines and balanced proportions closely mirror the powerful design cues of the concept vehicle and offer the same refined and athletic stance with swept-back wrap-around headlamps, aggressive air intakes and a low, sleek profile. 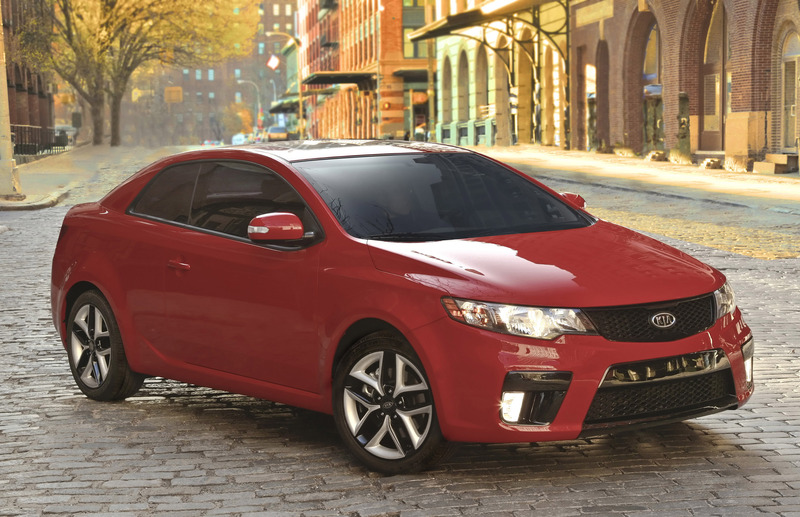 Available in two trim levels (EX and SX), Forte Koup offers a muscular yet sophisticated design. 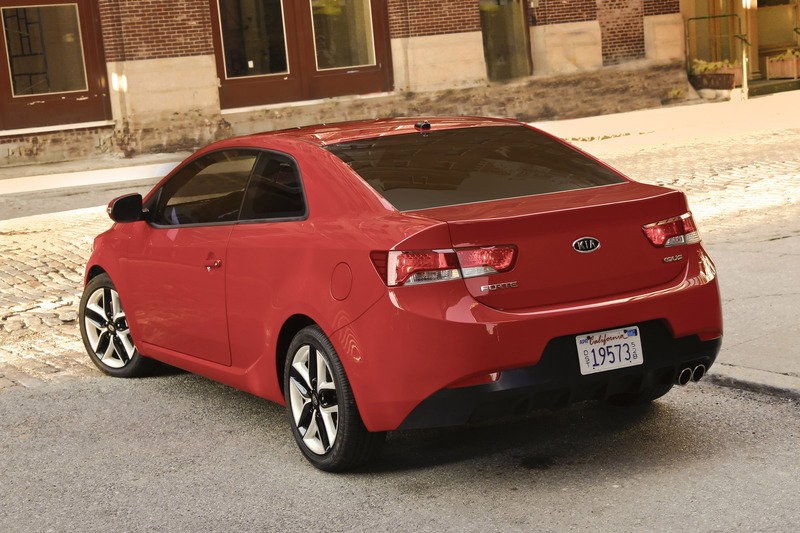 Even from behind, Forte Koup exudes attitude with slim, wrapped tail lights, dual exhaust outlets and a rear diffuser. 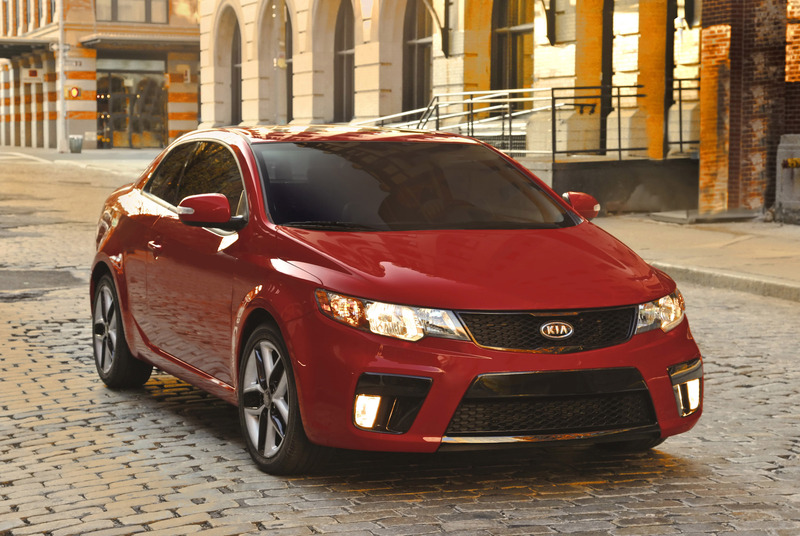 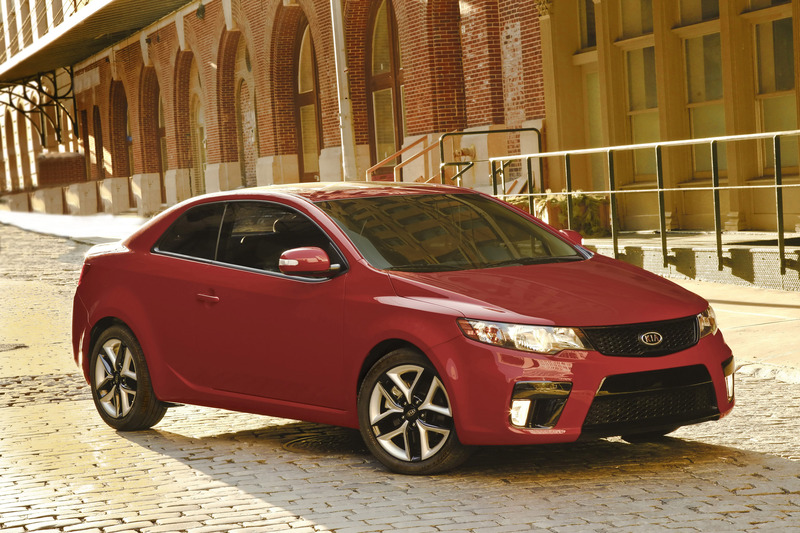 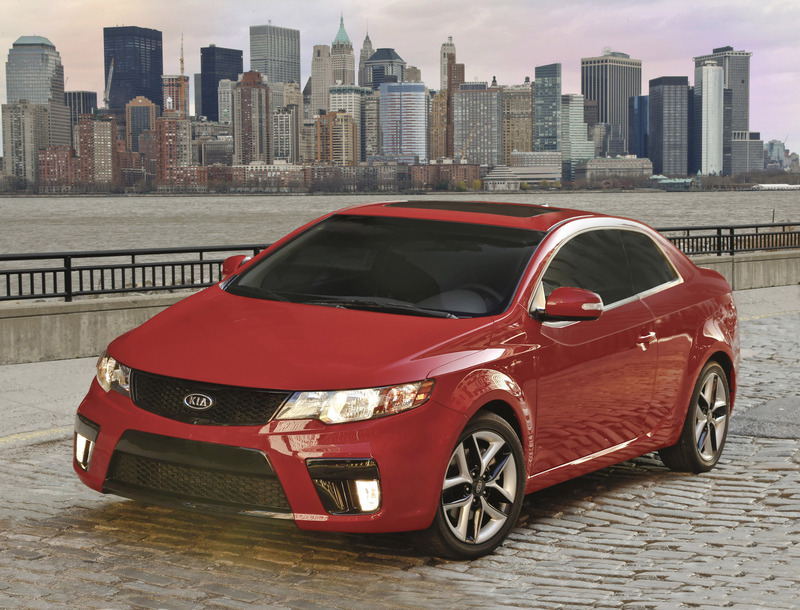 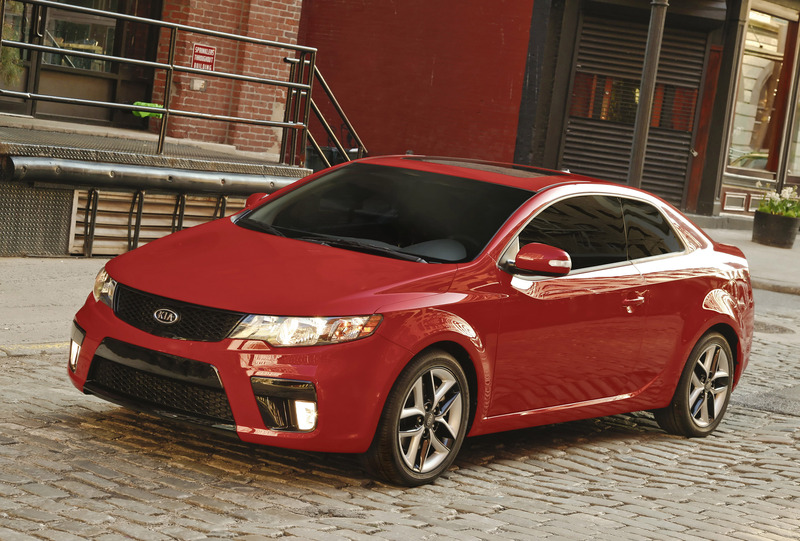 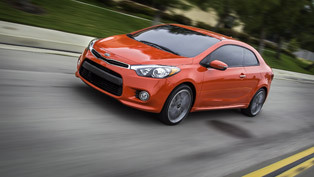 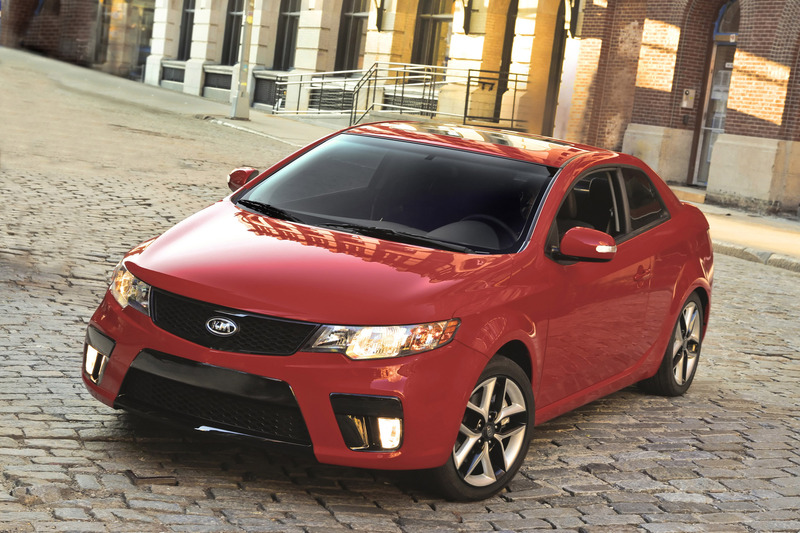 Standard exterior features are plentiful throughout the Forte Koup EX, including body-color bumpers, power heated outside mirrors with integrated turn signal indicators and 16-inch alloy wheels outfitted with P205/55R16 tires and five-spoke alloy wheels. 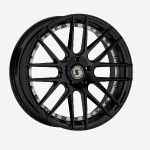 The SX trim offers an even more powerful profile with 17-inch alloy wheels paired with P215/45R17-sized premium tires and 10-spoke alloy wheels. 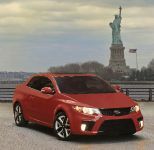 Buyers can choose from an exciting array of exterior colors, including Titanium, Spicy Red, Corsa Blue, Copperhead and Racing Red. 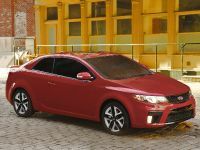 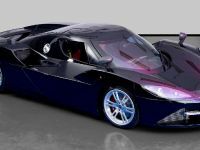 With a wheelbase of 104.3 inches, an overall length of 176.4 inches, an overall width of 69.5 inches and overall height of 55.1 inches, the Forte Koup body is 2.4 inches lower, 2.0 inches shorter and 0.4 inches narrower than its sedan sibling, but with the same 104.3-inch wheelbase as the sedan, Koup provides comfortable seating for up to five passengers. 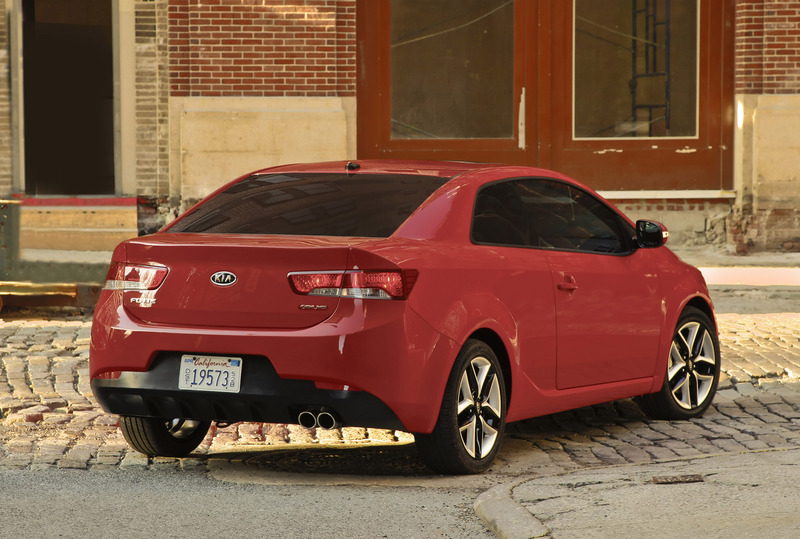 Koup's lowered stance provides better aerodynamics for a more exciting and spirited ride with a highly competitive drag coefficient (Cd) of 0.31 and aerodynamic lift coefficient (Ci) of just 0.21. 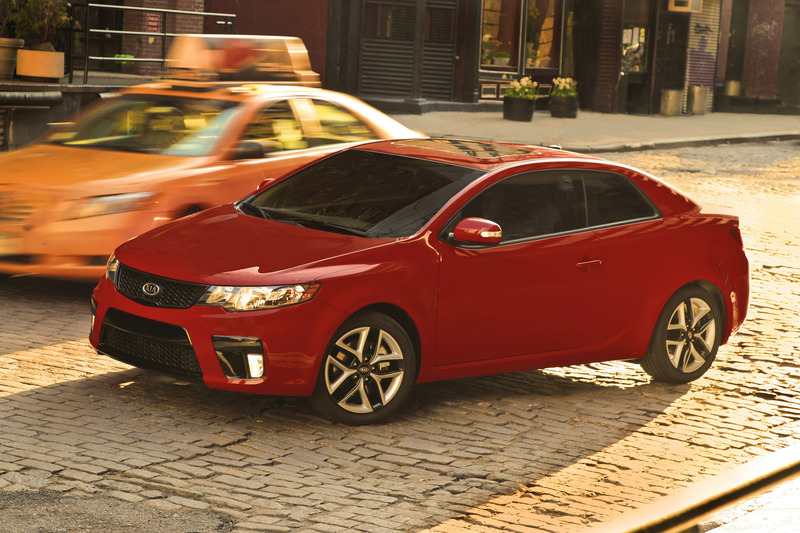 The Kia-engineered body achieves high torsional stiffness giving Forte Koup taut, responsive handling, a smoother ride quality and greater refinement than its competitors. 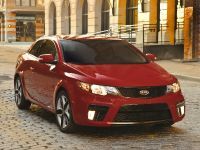 Tuned in the U.S. to appeal to sportier driver preferences, the Kia-developed suspension is refined for responsive and predictable handling on snaking roads. 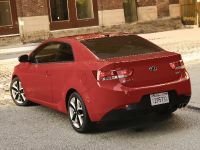 Built on a lightweight, hydro-formed subframe, Koup's front suspension employs MacPherson struts similar to the sedan, but with wider L-shaped lower arms for enhanced high-speed stability and an increased caster angle, which provides greater self-centering and a sharper steering feel while driving. 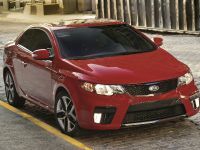 The SX trim also comes with a sport-tuned suspension set to provide a firmer ride with reduced body roll and improved handling. 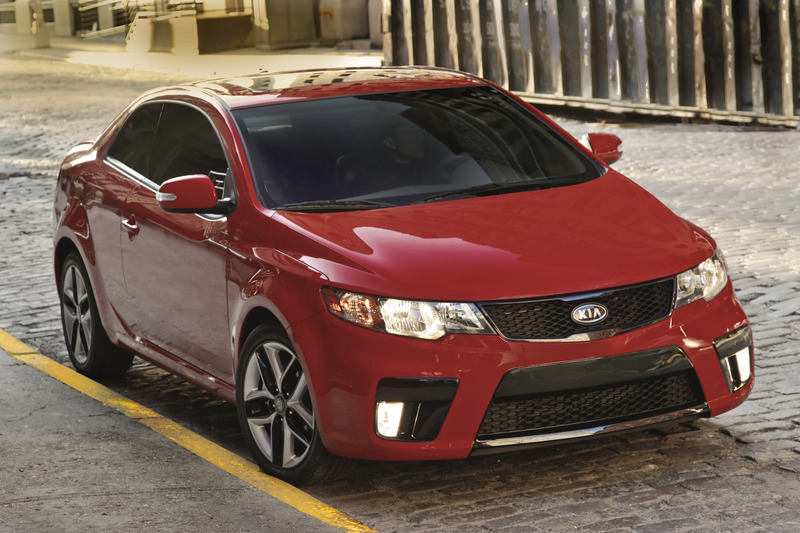 Additional refinements are utilized throughout Forte Koup to help ensure a comfortable ride while significantly reducing noise, vibration and harshness (NVH). 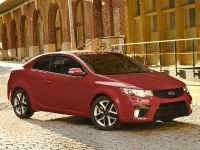 Koup is equipped with a lower bumper bottom lip, underfloor airflow detectors ahead of all four wheels and an engine bay cover, which all assist in achieving reduction in drag. 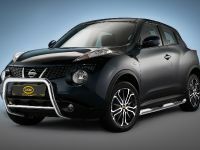 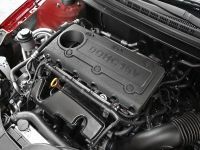 Additionally, all-new noise-lowering materials are used in the engine bay bulkhead and rear parcel shelf, including the injection of sound-dampening foam into hollow sections of the bodyshell at strategic noise-transference points and improved door and window seals. 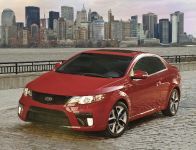 Truly a driver's car, Koup is more powerful than the base Honda Civic Coupe, Ford Focus Coupe or Chevrolet Cobalt Coupe and is driven by a 2.0-liter inline four-cylinder engine, producing 156 horsepower and 144 pound-feet of torque² that features Continuously Variable Valve Timing (CVVT) and multi-port electronic fuel injection, both of which allow for greater performance and fuel economy. 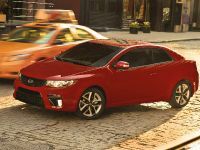 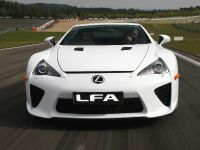 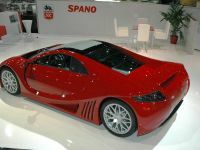 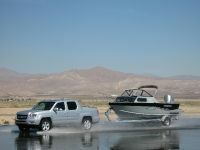 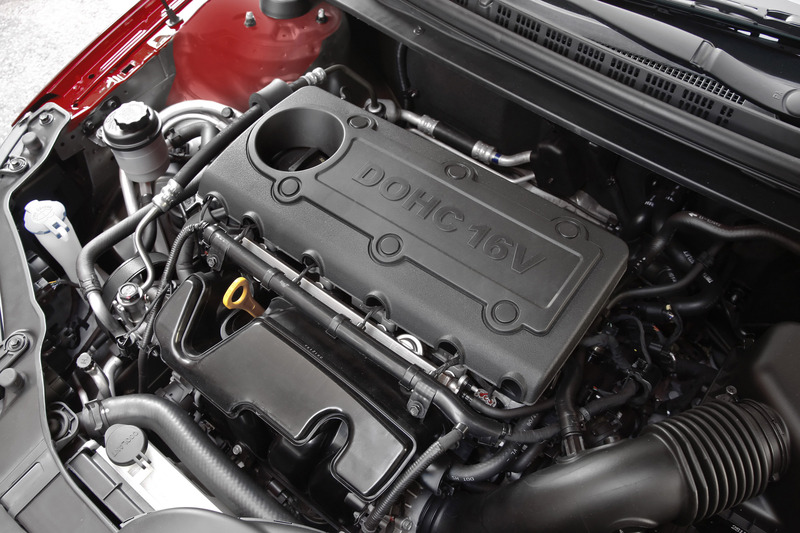 The SX features an upgraded 2.4-liter inline four-cylinder engine, also with CVVT, which delivers 173 horsepower and 168 pound-feet of torque³ , more than the Scion tC. 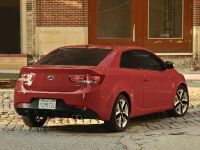 Expanding upon the dynamic look and feel, Forte Koup's engine benefits from dual exhaust outlets outfitted on both trims. 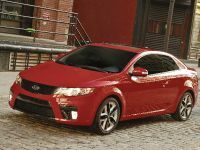 Like the Forte sedan, four transmission options are available for 2010 Forte Koup models: a standard five-speed manual transmission or an optional electronically controlled four-speed automatic transmission with overdrive (EX models), while the SX model features a standard six-speed manual transmission and an optional five-speed automatic transmission with overdrive and Sportmatic®. 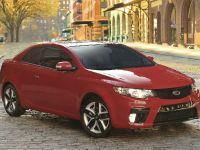 Forte Koup continues the luxury treatment with a host of standard interior features, beginning with supportive, nicely appointed sport seats outfitted with more aggressive bolsters on the seat cushion and seat back for optimal comfort. 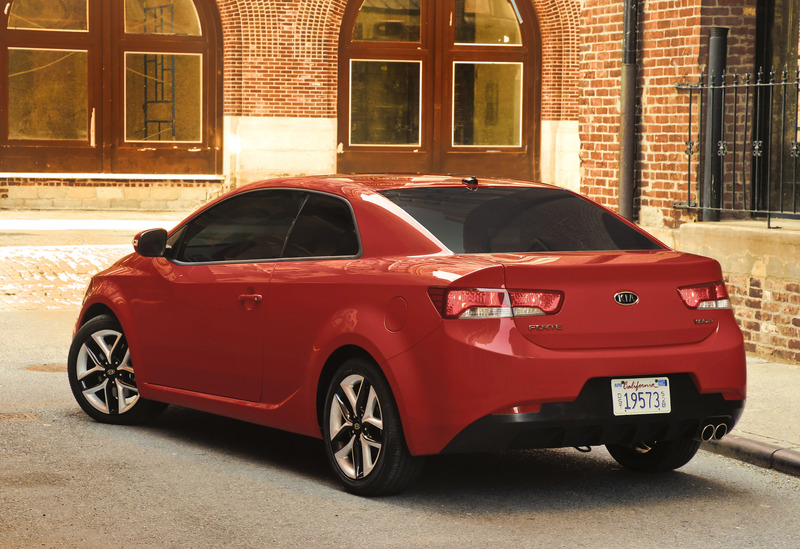 Additional standard equipment on all Koup models includes air conditioning, power windows, power door locks with remote keyless entry, cruise control with steering wheel-mounted controls, a driver's seat height adjuster, adjustable rear seat headrests, tilt steering column, rear defroster, center console with dual cup holders and storage area, dual map lamps with ceiling-mounted, drop-down sunglasses holder and variable intermittent windshield wipers. 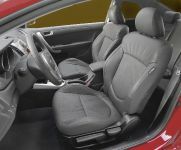 Progressing to the SX trim offers additional standard touches such as: unique sport cloth seats with vibrant red stitching, a tilt and telescoping steering column, speaker lights, leather-wrapped steering wheel and shift knob, metal pedals and metal finish trim. 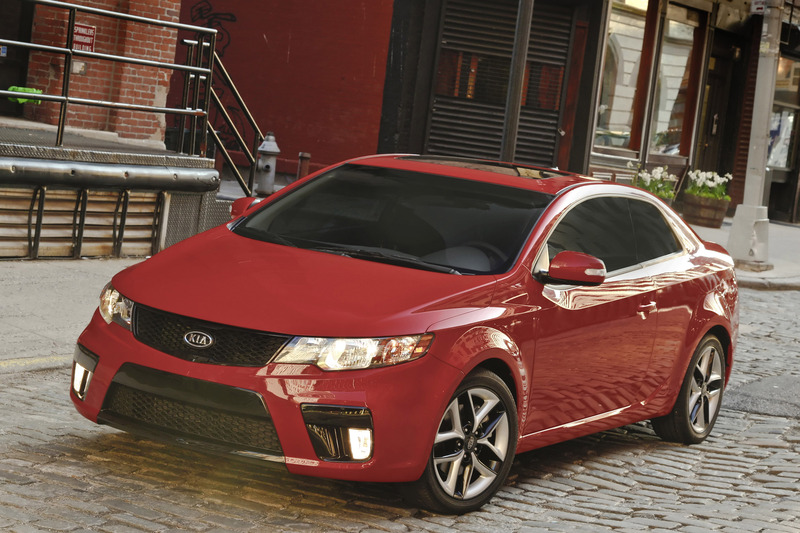 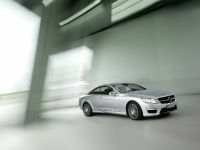 Both EX and SX trims also offer an optional power sunroof with tilt. 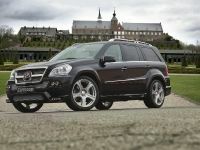 An optional Leather Package is available on both EX and SX trims. 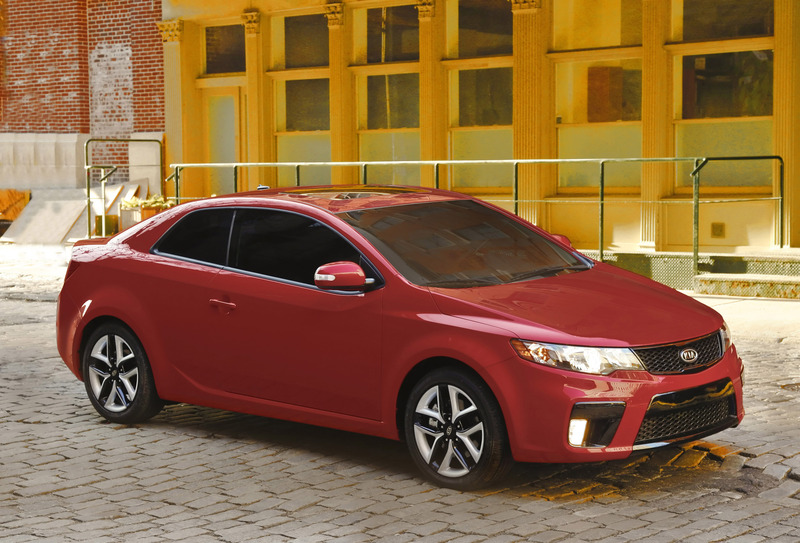 When combined with the EX trim the Leather Package adds leather seats, leather-wrapped steering wheel and shift knob and heated seats. 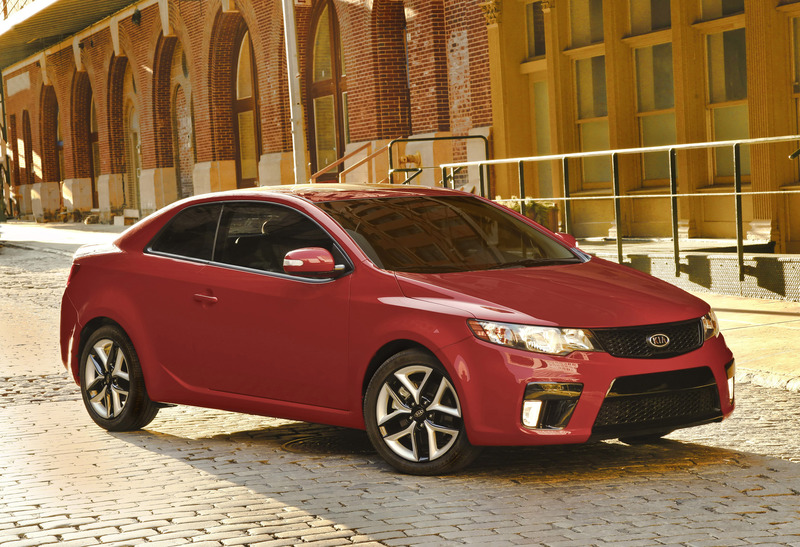 When paired with the SX trim, it includes leather and heated seats in addition to the standard leather-wrapped steering wheel and shift knob. 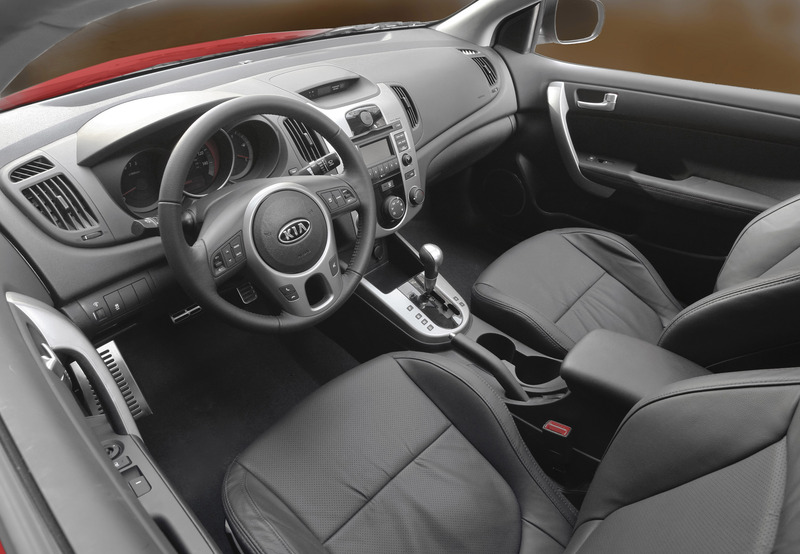 A Supervision™ gauge cluster with trip computer, standard on SX models, further enhances Koup's energetic personality with its red-hued glow and message display shown at the bottom of the cluster. 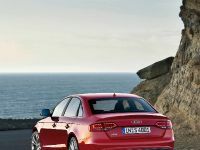 This display includes information on distance to empty, engine coolant temperature, elapsed time, door-open alerts, fuel consumption, average mpg and instantaneous mpg.